Thank you Sarah, you should be the first woman President. Talk about making liberal heads explode. The Trump meltdown would be a molehill compared to a Palin presidency. I get giddy just thinking about it. I pray Trump places Sarah in his Administration. She is so qualified. 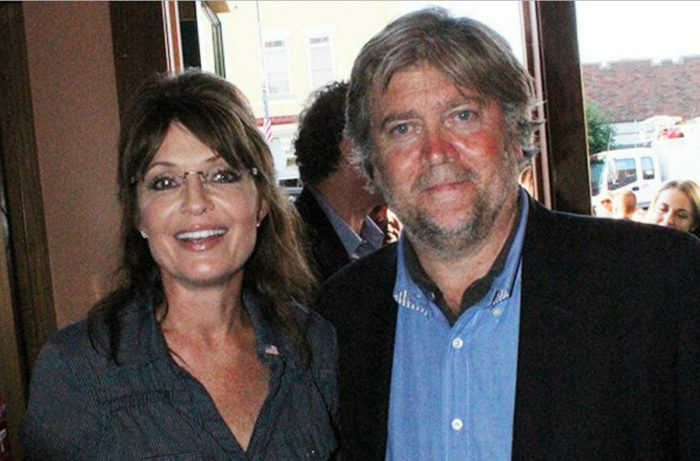 Former Alaska governor Sarah Palin wrote a fiery defense of Stephen K. Bannon, President-elect Donald Trump’s chief strategist and senior counselor, against false media accusations of racism and anti-Semitism. University Busted Paying $200 For Aborted Babies Brains, But It Gets MUCH WORSE! Noted Constitutional Scholar Barbra Streisand Urges Obama To Do This!